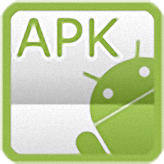 Organize your APK file collection without installation. LocalAPK Info... in context menu when running. Settings of installed LocalAPK should be preserved. Now if only there was portable .NET. Have u seen the explorer shell extension of local APK...its one of the coolest features of LocalAPk...LocalApk is a must have app that every android enthusiasts must have... could you please integrate the same functionality in sendto Menu? LocalAPK Info... in context menu when running added.